If you’re new here, you can read all about how the link-up works right over here. This link-up will be open until 9:55pm EST on Thursday, June 22nd, 2017, then a new prompt and link-up will be shared for the next week. 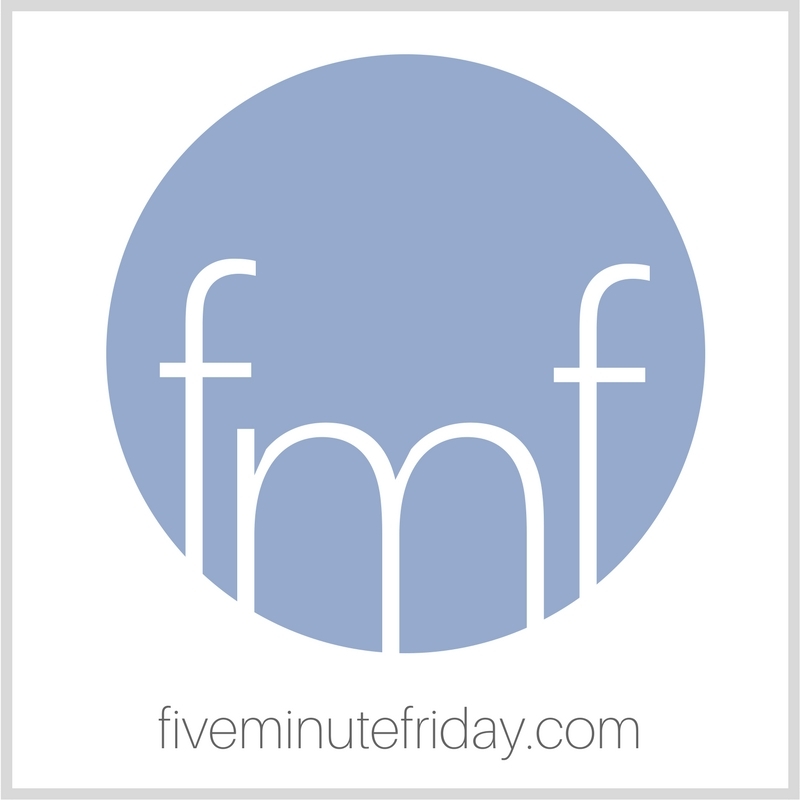 It’s Five Minute Friday time! Come stretch your #writing muscles with us. Sometimes I wonder if the Christian writing life is really worth it. I sit in my chair, defeated, the blinking cursor taunting me with its silence. Do my words even matter? I should just give up now, I think to myself. Nobody would even notice. I mean really, would anyone even care? That’s right about when God elbows me in the ribs. Though I pray my words will be a blessing to those who read, that’s really not why I write. Not the only reason, at least. Yes, I’m writing for you — but really, I’m not. I write in a meager, humble attempt to honor and obey the Giver of the gift. If I let it lay dormant, how would it bring Him glory? If I push His gift into a drawer and slam it shut, am I not like the one who buried his talent? So I pray for grace and I pray for perseverance and patience and endurance, and courage and wisdom and discernment and all the things I surely don’t have on my own. And I keep showing up, I keep pounding out words, I keep praying He’ll use them. Not to us, O Lord, not to us, but to Your name be the glory (Psalm 115:1). So is it worth it, dear friend? A thousand yeses. Your work matters, not because of your page views or Twitter followers, but because of your desire to be a faithful steward. Kate, absolutely beautiful. In the light of all the “real life” stuff that keeps happening, I sometimes find it easy to relegate writing to the very darkest corner of my mind, and heart. But, God. He gave me a desire to write, to encourage (hopefully!) others, to share Him with those who may stumble across my words. My hope is that He is able to use my attempts to draw people to Himself. thanks so much for the beautiful bright new button! Saving and adding it into my post! I may continue including the old one for a while, too. Worth it? Sure, because having to justify why I do this strengthens my own faith. “Keep showing up” — that’s a commitment that applies to a thousand different pieces of our lives (and writing is primary among them). I’m glad you are! I wrote a blog this week, Kate, “Why I Write,” and when all is said and done? I write for two reasons: 1. He told me to; 2. I must. I completely agree with your reasons. I share the same sentiment. Kate, I love this! This is where I am. I’ve wanted to write a book, and even started and worked on it here and there. Yet, those doubts creep in. I doubt my abilities. I doubt my purpose. But then, this 11 year old child of mine reads over my should when I write my FMF posts or other blog posts, and he says, “You know, Mama, you should really right a book.” That is my encouragement. That makes it worth it. I realized WHO CARES if I never have a bestseller! My child thinks I should. My Father has given me a story. I’m a lover of words, so how can I not write? My son knows that writing is this dream of mine. What would I be teaching him if I didn’t follow my dreams? He makes it worth it! Thank you Kate! We all seek connection. We write… we read… we comment… we weary… all while on the path to true connection with God and fellow man. Our “God-inspired” writing transcends all space and time, and the impact simply cannot be measured by “comments” and/or “page views”. (It took me a while to learn to let this go). I’m pretty sure the Apostle Paul never envisioned his writing impacting my 2017 daily walk here in Southern California! Kate, thank you for this post!! I think we have all thought this very thing…I know I have! When I first began blogging and had 0 comments, I would say to God, “No one is reading this, God! What is the point.” The Holy Spirit would send this sweet whisper: “I’m reading it, daughter, and it is good.” I couldn’t agree with you more; it is so worth it!! Thank you for writing. If you didn’t, I would not have found this site.